In recent years, online services like Facebook, Twitter and Google have greatly affected the way people access information and learn about new things. Due to a series of events, people and governments around the world are looking more closely at the activities of brands on social media and taking efforts to mitigate any negative effects. To that end, Facebook recently announced several new features to improve the consumer experience on Facebook, that could affect the work of online marketers. To start with one of the more innocuous changes, Facebook is testing Keyword Snooze features for consumers. As the name suggests, Facebook users will be able to prevent being shown all posts related to a certain keyword. Facebook is touting the new feature as a way to prevent spoilers from content like movies or TV show. This Keyword Snooze feature can be helpful and problematic for marketers. In general, it’s a waste of resources to show content to people who don’t want to see it. 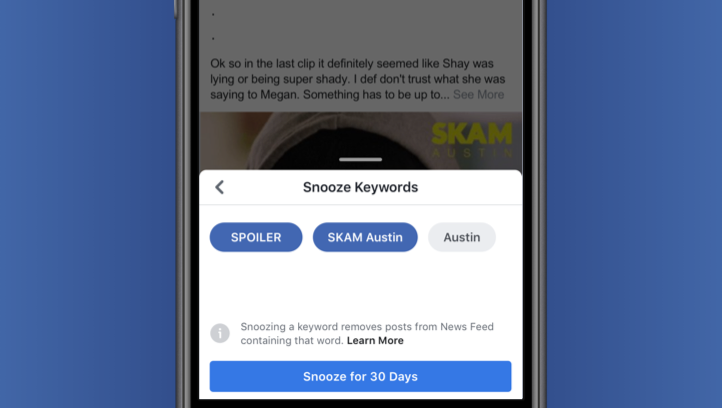 A snooze feature means less Facebook ads will be spent on people who have already noted they don’t want to see content related to a certain keyword. However, if a marketer is specifically trying to engage with someone who may shy away from a certain topic, the keyword snooze feature is problematic because a user can avoid content, so long as they use the snooze every 30 days. The Keyword Snooze feature is likely to get a lot of use over the coming months as political ads begin to pick up for the mid-term election. So this may be a challenge for Facebook marketers in the future if commonly used keywords get “snoozed” often. The Keyword Snooze feature may lead to a significant changes to the way social media content is worded. The other changes Facebook recently announced also relate to providing a better, and more transparent, ad experience for Facebook users. While it hasn’t led to dramatic changes in engagement or social media usage, the recent scandals involving the use of Facebook ads and data has damaged the trust people place in the content they find on social media. In an attempt to restore trust in online advertising, Facebook has introduced a couple of features that will show more information to consumers about the source of online ads. So in addition to the new restrictions and rules related to political ads, Facebook is introducing two more features to help consumers, a View Active Ads feature and a Page Information feature that will show along ads. With the View Active Ads feature, users can now see the ads a Page is running across Facebook, Instagram, Messenger and our partner network, even if those ads aren’t shown to a a particular user. Just log into Facebook, visit any Page and select “Info and Ads.” Users will be able to see ad creative and copy, and they can flag anything suspicious by clicking on “Report Ad.” This feature will address an issue that was seen during the 2016 election where bad actors would send ads to opposing sides of an issue to rile people up. The new feature would make it easier to see when that is happening. Facebook hasn’t commented on how they will prevent abuse of the system. Though there is likely more to the program than they’ve described so far, it seems like it would be easy for someone to spam an account by flagging all their active ads. For example, any one who hates “Organization X” can simply search for the company’s Facebook page, view all of their active ads, then flag them for some reason or another. The other new feature to improve transparency is a More Page Information feature where users can learn more about Pages, even if they don’t advertise. For example, you can see any recent name changes and the date the Page was created. Again, this is to counter the effects of bad actors who constantly change the names of pages to mask their true purpose. Again, this feature could be problematic for legitimate business owners. For example, a business that went through rebranding effort may not want to have the old business name visible. Facebook is planning to add more Page information in the coming weeks. So the true extent of the impact on marketers won’t be known for a while. 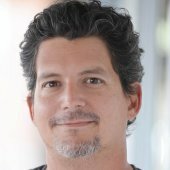 For more information about online marketing, read this article about recent changes for Google.